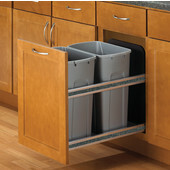 Built-In Trash Cans keep garbage out of sight and save floor space too. 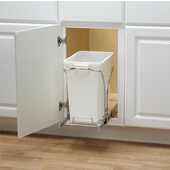 Generally mounted on the inside of the cabinet, the trash bins slide out or tilt out when the door is opened for easy operation. 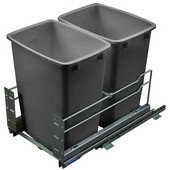 Multiple trash bins allow for sorting of trash and recyclables. 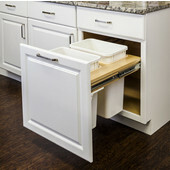 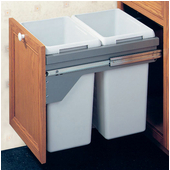 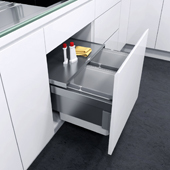 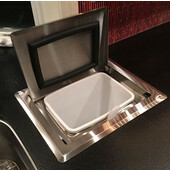 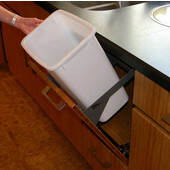 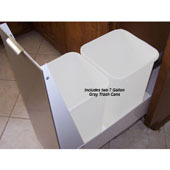 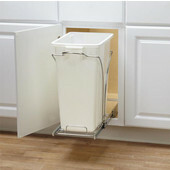 Countertop mounted trash bins are installed directly into the countertop for convenient removal of food scraps and other small trash items. 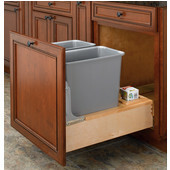 Trash bin storage tables come complete with a wood cabinet, three wicker baskets, a cutting board and a tilt-out trash unit to help keep the kitchen clean and organized. 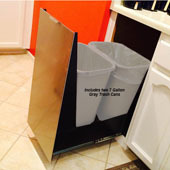 The trash bins are available in plastic or stainless steel and come in several sizes and colors to coordinate with any kitchen décor. 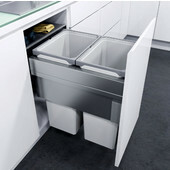 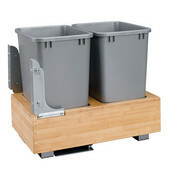 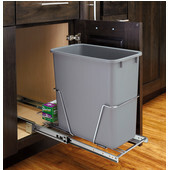 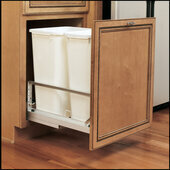 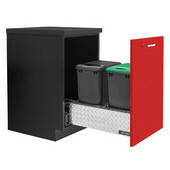 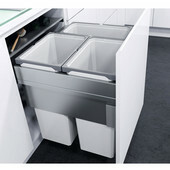 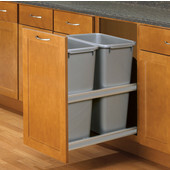 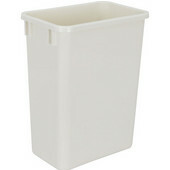 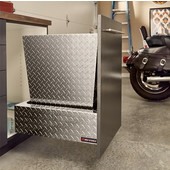 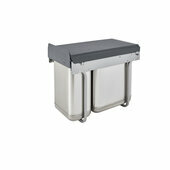 Here at KitchenSource.com, we have a wide variety of built-in trash cans to suit your trash collecting needs.